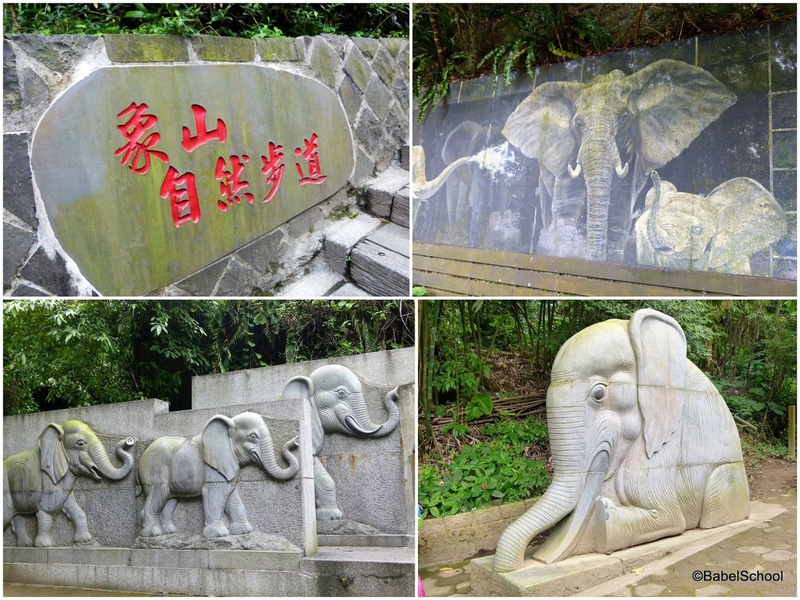 Everybody (nature class teacher + two Polish moms + Taiwanese dads + kids) met at the exit 2 of the Elephant Mountain MRT Station. 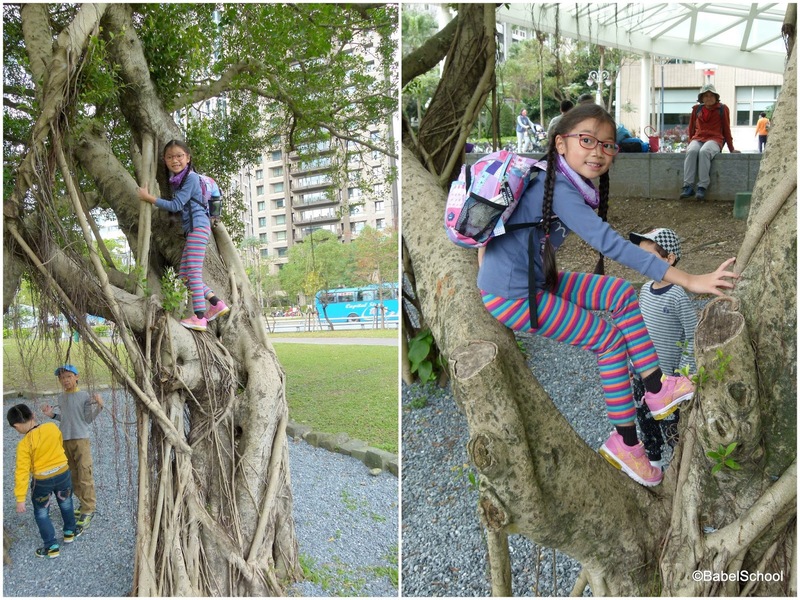 While waiting for the class to start, kids got a chance to climb some trees. 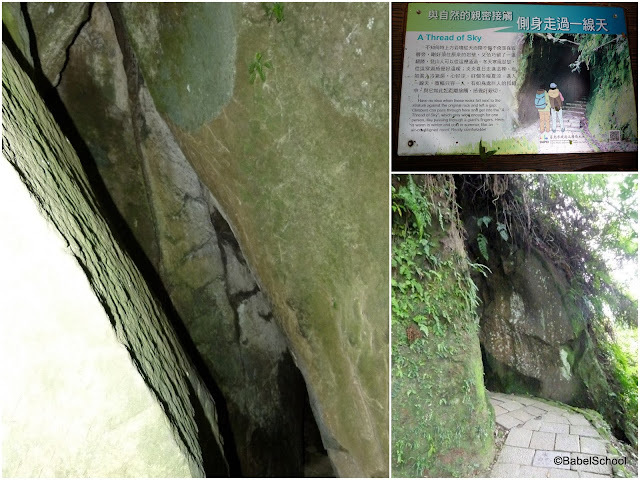 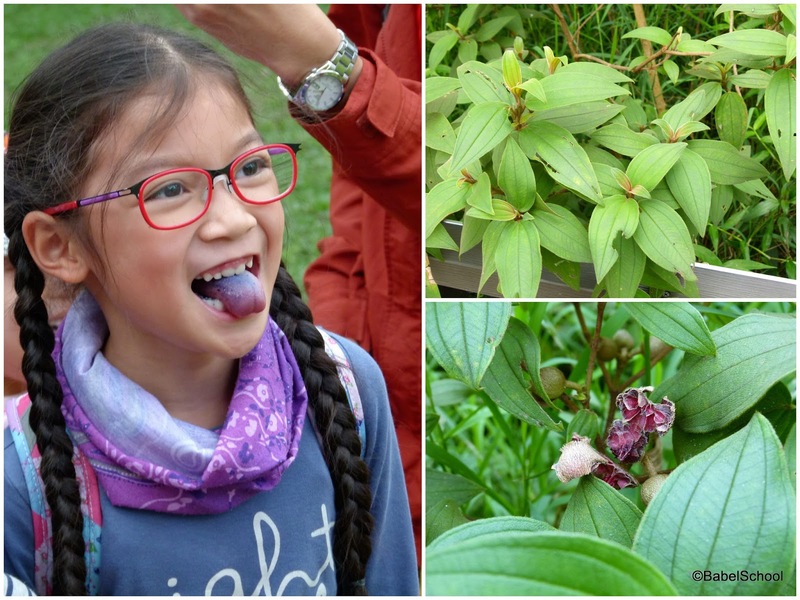 On the way to the mountain trail entrance kids could try yummy seeds which made their tongues blue. 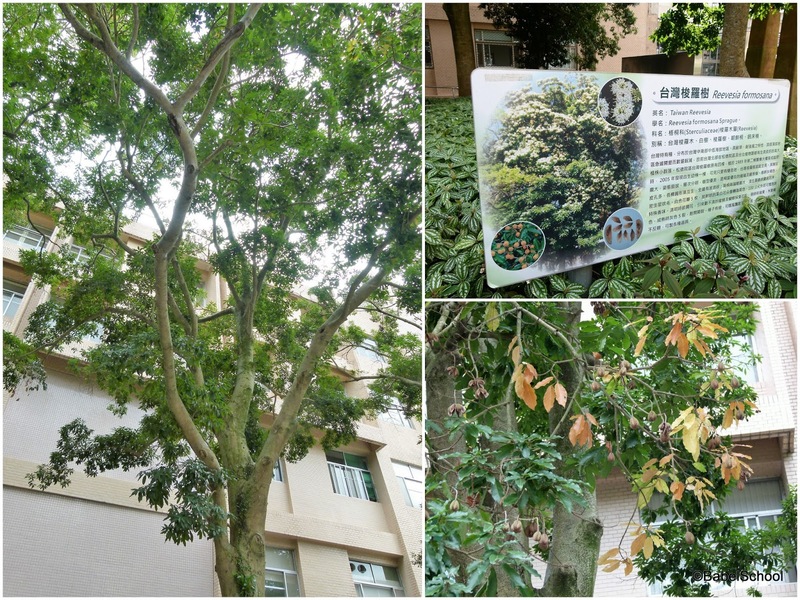 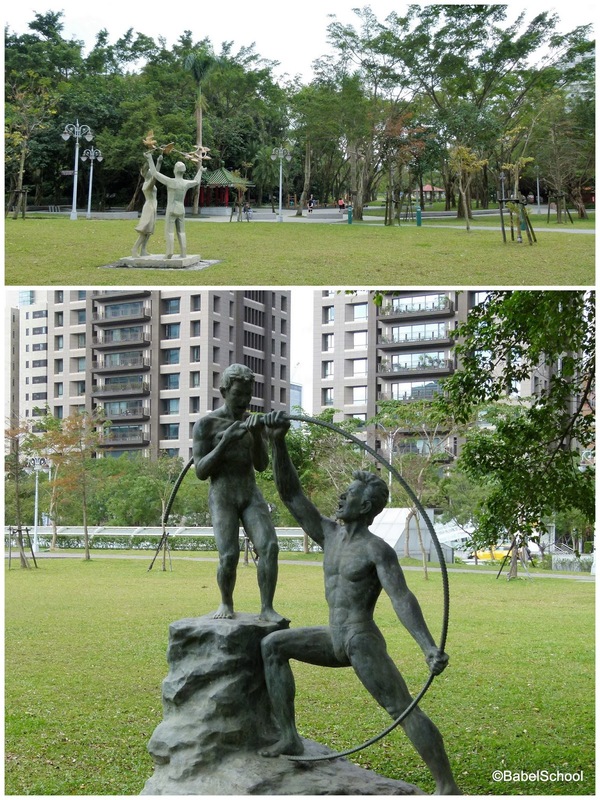 The beginning of the trail that we took is right behind the Taipei City Hospital Songde Branch 臺北市立聯合醫院松德院區.